Posted By:Unknown | At:12:44 AM Be the first to comment! The Game star Tia Mowry will soon be a mom. Mowry -- who acted opposite her identical twin, Tamera, on the '90s sitcom and now stars on BET's The Game -- is due July 3, her rep confirms exclusively in the new Us Weekly, out Wednesday. 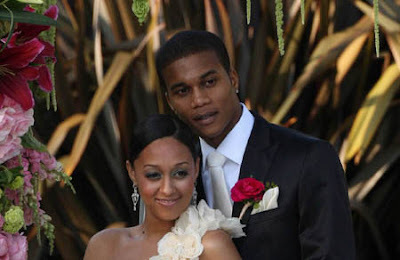 The baby will be the first child for Mowry, 32, and her hubby of two years, Battle: Los Angeles actor Cory Hardrict, 31, and the pregnancy will be documented by the Style Network for a show to air later this year. "We are both so excited to be parents," the couple tell Us in a statement. "We have been wanting this a long time!"